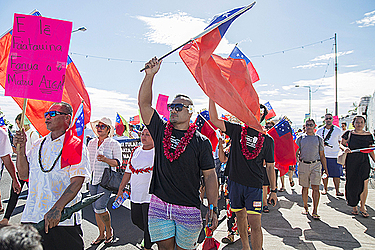 Close to 300 people attended the peaceful, protest march led by Samoa Solidarity International members, lawyer Unasa Iuni Sapolu, former Member of Parliament Leota Su’atele, and Papali’i Titiuatoa Malietoa. The protest from Vaisigano to the Mulinu’u gravesite of the late Malietoa Tanumafili II, is to raise awareness ensuring customary lands are protected under existing laws. Attending the march, were men and women and chiefs from the rural areas. They were escorted by the Police Officers and among the crowd was lawyer, Leulua'iali'i Tasi Malifa and many others. “Many are not aware that their customary lands could be affected by the use of leases over their customary lands to secure loans and mortgages," said Unasa. “I am telling you the ownership may shift to mortgagees or lenders under the terms of lending. “We believe our customary lands are not safe and that a change to use customary land leases as securities for loans, is a clear breach of our Constitution. Each time she called out “Samoa mo Samoa” the crowd responded with applause. The march was initially slated to finish at the Parliamentary building that is under construction however there was a change of plans and it ended at the gravesite of the late Head of State. “The March ending here at the late Malietoa Tunamafili II’s gravesite, has a significant meaning. 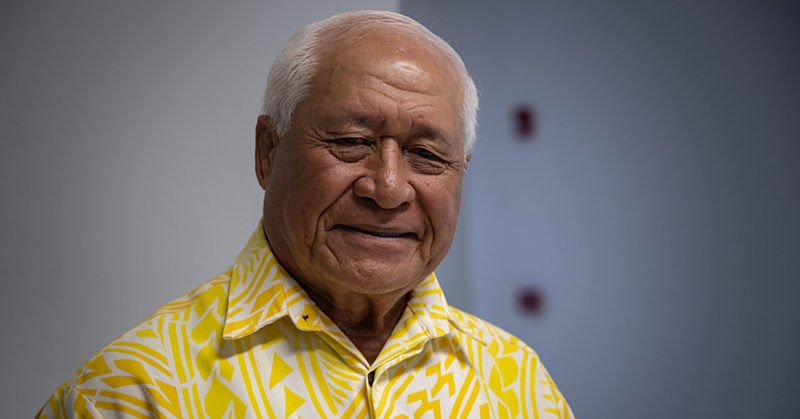 Quote, That it’s better we Samoans are poor and in possession of our lands than wealthy and in possession of nothing end of quote and that speaks volumes,” said Unasa. Unasa was happy with the turnout of the march. “As I have said before, whether it was one person or three people, rain or shine the march will go on. “We need to raise awareness and even if it rained, it must go on. “That is how strongly we feel about the issue at hand. “This is the core of Samoa. We lose our customary land - we lose our fa’asamoa. We lose our fa’asamoa - we lose everything. “That is why it is crucial to raise awareness. We lawyers have different interpretations than others. “I can understand where my other colleagues are coming from. 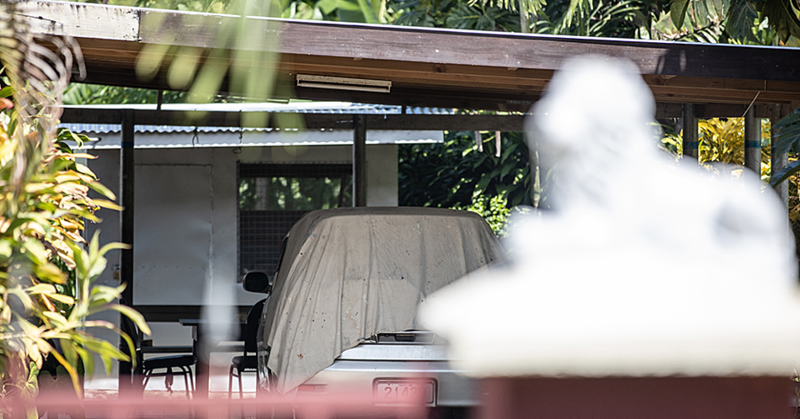 However our interpretation, ensures that the protection of our customary lands is tight and protected, because it is not in this case,” she told the Samoa Observer. Lloyd Tomi a member of the youth also took the stand and urged the crowd to stand up and fight for Samoa’s lands. ‘The main reason I am here, to be honest is that the people who created this law, will be dead soon and they’ll be gone soon. “And me and many others are the ones who will be facing the consequences. “It is our generation and it’s our generation that will be affected, we don’t want to be slaves on our own land. “We don’t want to be homeless like the Maoris, on our own land. “This is our customary land, we should stand up and fight for our lands,” he said. 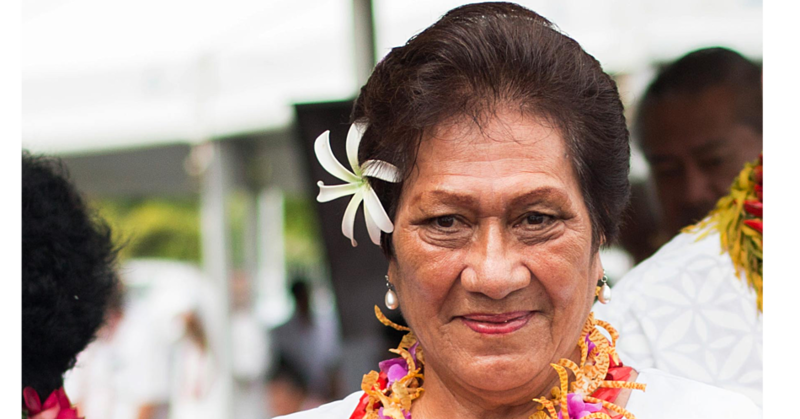 Former Member of Parliament, Leota Su’atele, commended everyone who attended the march and thanked them for showing support. “Our Constitution is our justice that is what we resort to. The March will get our point across to the government the need to remedy this dispute and so we can amicably resolve the matter for the benefit of our children,” he said. On behalf of the Malietoa family, Papali’i Titiuatoa Malietoa commended Unasa and the devoted members of public who organized the march. “My father who lies in his grave, was keen on protecting our customary lands,” he said. He further commended the Police Officers for ensuring everyone’s safety on the day.